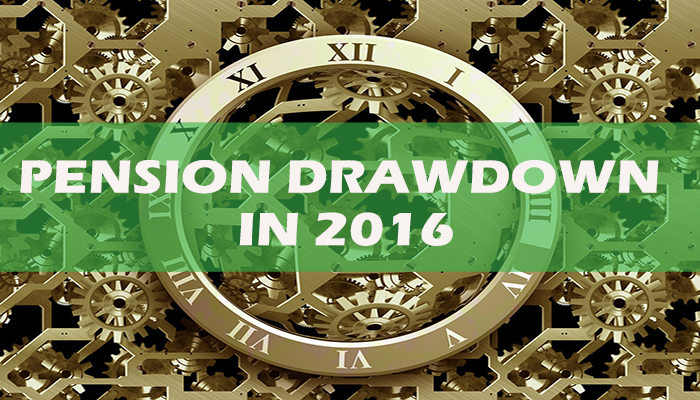 As we enter a new era of retirement income planning, pension drawdown in 2016 is set become even more innovative. The speed of change from those wanting annuities to those who prefer the flexibility and access of income drawdown has been rapid. Pension drawdown will become the most popular retirement income choice in the calendar year of 2016, and pension drawdown providers are gearing up to serve the market. Since the reforms came into effect in April 2015, many providers have introduced, re-structured and re-priced their drawdown offerings. The increased competition has seen product charges reduced or removed and tied charging lowered. This is all good news for 2016, more competition means a healthier deal for the consumer. There’s going to be close scrutiny on the pension providers however as there are signs people are being rolled into a drawdown plan with their existing provider, as was the case with annuities. People who take the easy route and don’t shop around could end up spending thousands more on fee’s than doing a little homework. The difference on a few fractions of a percentage in fee’s means many thousands of pounds over the lifetime of a pension drawdown plan. £200,000 @ 1.75% is £3,500 per year. £200,000 @ 1.25% is £2,500 per year. Over the course of your retirement that’s a lot of additional cost. A popular question I was asked in 2015 was around guarantees. People who aren’t used to investing or don’t have the appetite to experience investment risk want some kind of guarantee. Providers realise this and are set to offer more products with guarantees to accommodate these people in 2016. For those who have experience of investing or wish to manage their own pension funds, many providers are offering DIY options. This is where an investor has access to a suite of investment tools to help in decision-making process. Online access, funds research and portfolio construction can all be carried out in one place. DIY investing is different however, from non-advised drawdown. There has been a movement by existing providers to offer access to a limited suite of drawdown funds through their call centres. Although providing access, they don’t run through the complete risks and conduct an in-depth risk profiling exercise, as a qualified financial adviser would. As a result, many people have ended up in drawdown without the full knowledge of what might happen if things go wrong because of unsuitability. The FCA are conducting a review of these practices early in 2016 but the results won’t be known until the middle of the year. Whatever 2016 brings in terms of innovation the constants are how a portfolio should be constructed. A portfolio should be balanced well between cash, bonds, property and equity. It should match your attitude to investment risk and you should take into consideration your income requirements. You should also ensure the expression of wish forms are accurately completed. Simply putting your spouse on the form to receive your fund when you die could lead to unintended tax consequences if they were to die before you or you wanted assets to also be available to your children. Need help choosing a drawdown plan? If you’re unsure which provider to choose or want to know more about whether income drawdown is right for you, speak to one of our retirement experts. We are completely independent and offer a no-obligation chat about your circumstances.